The Blackadder saga saw many famous British Comedy faces make appearances over the years. One of those was Ade Edmondson as the Red Baron von Richthoven. 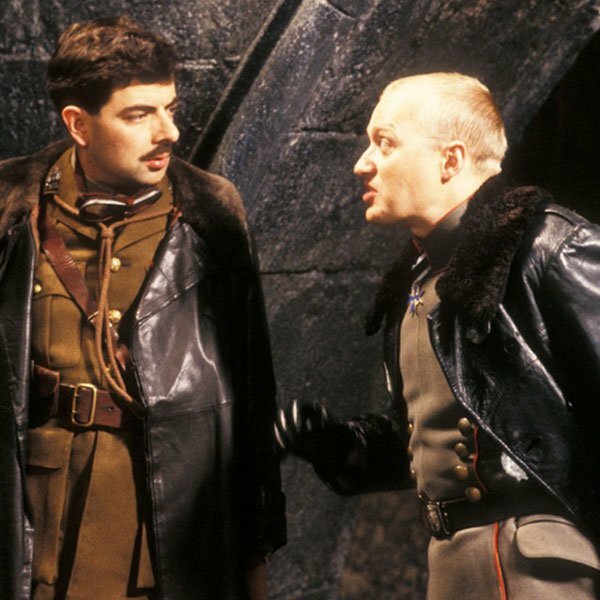 Blackadder Goes Forth has earned its well deserved place in the hall of great British Comedy. As with any comedy series, it is a sum of its parts. A great concept, intelligent writing, and of course the people who star in it. 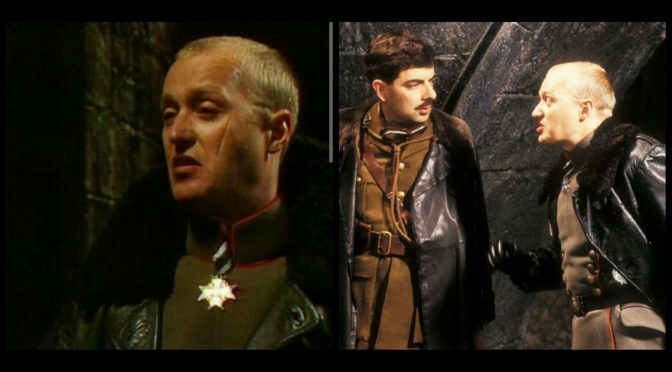 During its 4 series and 3 major Blackadder specials, a number of guest stars made cameo appearances. It was really only a matter of time until Ade ‘Vyvyan’ Edmondson turned up! Crikey! I’m looking forward to today. Up-diddly-up, down-diddly-down, whoops-poop, twiddly-dee, a decent scrap with the fiendish Red Baron, a bit of a jolly old crash landing behind enemy lines, capture, torture, escape and then back home in time for tea and medals. Inevitably of course, this is exactly what happens! As it turns out, the Red Baron is played by none other than Ade Edmondson. He is the third of the four Young Ones cast to have appeared in Blackadder (the other two being Nigel Planer and of course the fabulous Rik Mayall). Fortunately, his idea of punishing the English flying ace Blackadder, is for him to be taken to a convent school where he will teach the Young Nuns home economics. The theory being that the humiliation would be unbearable. Blackadder prepares to settle in for his punishment (which doesn’t sound all that bad at all!). 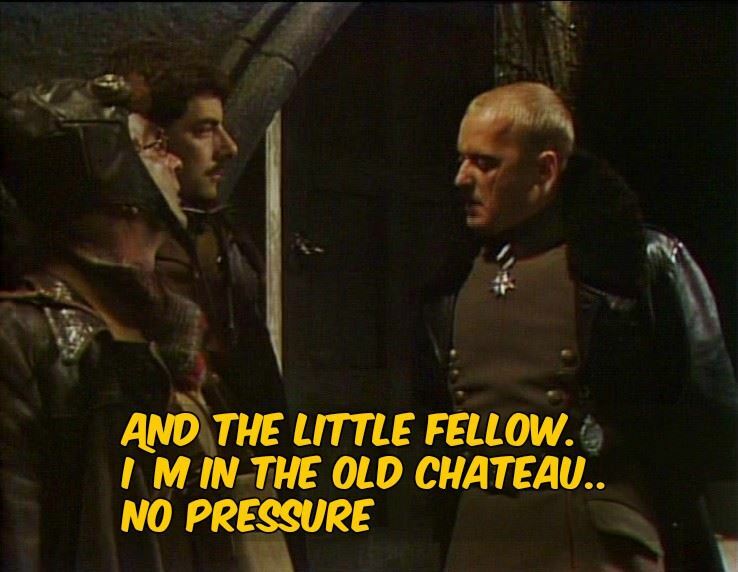 Then, however, Flashheart bursts in on the scene and rescues a rather reluctant Blackadder. Before he leaves, he shoots the Red Baron, and most likely than not says Woof a couple of times!